The aim of this study was to investigate the effect of aspartate on the acid tolerance of L. casei. Acid stress induced the accumulation of intracellular aspartate in L. casei, and the acid-resistant mutant exhibited 32.5 % higher amount of aspartate than that of the parental strain at pH 4.3. Exogenous aspartate improved the growth performance and acid tolerance of Lactobacillus casei during acid stress. When cultivated in the presence of 50 mM aspartate, the biomass of cells increased 65.8 % compared with the control (without aspartate addition). In addition, cells grown at pH 4.3 with aspartate addition were challenged at pH 3.3 for 3 h, and the survival rate increased 42.26-fold. Analysis of the physiological data showed that the aspartate-supplemented cells exhibited higher intracellular pH (pHi), intracellular NH4 + content, H+-ATPase activity, and intracellular ATP pool. In addition, higher contents of intermediates involved in glycolysis and tricarboxylic acid cycle were observed in cells in the presence of aspartate. The increased contents of many amino acids including aspartate, arginine, leucine, isoleucine, and valine in aspartate-added cells may contribute to the regulation of pHi. Transcriptional analysis showed that the expression of argG and argH increased during acid stress, and the addition of aspartate induced 1.46- and 3.06-fold higher expressions of argG and argH, respectively, compared with the control. 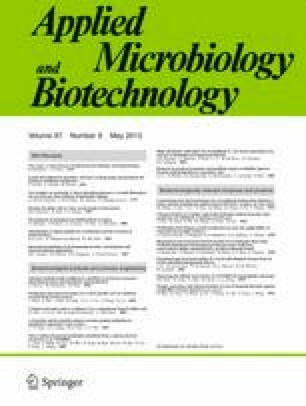 Results presented in this manuscript suggested that aspartate may protect L. casei against acid stress, and it may be used as a potential protectant during the production of probiotics. Chongde Wu and Juan Zhang contributed equally to this paper. This project was financially supported by the Key Program of National Natural Science Foundation of China (no. 20836003), the National Natural Science Foundation of China (no. 30900013), Major State Basic Research Development Program of China (973 Program, no. 2012CB535014), and the Self-determined Research Program of Jiangnan University (JUSRP 21009).